Spinal Decompression Therapy is a cost-effective, non-surgical and non-invasive treatment for back and neck pain. It has gained wide popularity in recent years because it is effective and provides back and neck pain sufferers a solution that does not involve the risks, recovery or expense of back surgery. People with severe neck or low back disk herniations or bulges are generally in severe pain, especially if they’ve suffered from this condition for a long time. It’s a relaxing therapy – we keep the lights low in the room, play soft music, and patients often fall asleep because they’re so relaxed. Spinal decompression addresses the issue by decompressing the spinal herniation or spinal bulge. This relieves pinching of the nerves, and causes a negative pressure within the disk in order to pull the bulge off of the spinal cord or spinal nerve. Decompression is not painful, nor is it invasive in any way. The therapy is computerized, and is designed to slowly ramp up to the place where we need it to pull the bulge off the disk. Patients tend to get immediate relief from each 15-20 minute session. The amount of time that the relief lasts and how many sessions are necessary in order to have sustained relief depend upon the severity of the patient’s condition. Many spinal decompression candidates are patients who have issues bad enough that they are going to be surgery candidates eventually if they don’t do something fast. If this is the case for you, you can expect to need more than one treatment session to affect lasting results. Once decompression has been effective for you, Dr. Tyson will recommend beginning a normal treatment plan including chiropractic care and physical therapy. Your injured disk will now have increased pressure on it and will be bearing an increased spinal load, which is what lead to your problem initially. 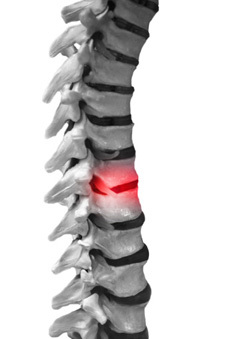 The disk problem is a secondary component of the spinal issue, and once it’s addressed the spinal issue needs to be addressed immediately or else you’ll be in severe danger of relapse. Contact our Midlothian office with your questions and to request more information on spinal decompression.